My favorite way to eat eggplant is sliced, dipped, battered, and fried, but who has time, right? Besides all the racket the smoke alarms make and the way the smoke boils through the sun streaking in the window and the smell…that stays in the house almost as long as all those calories stay on your thighs. 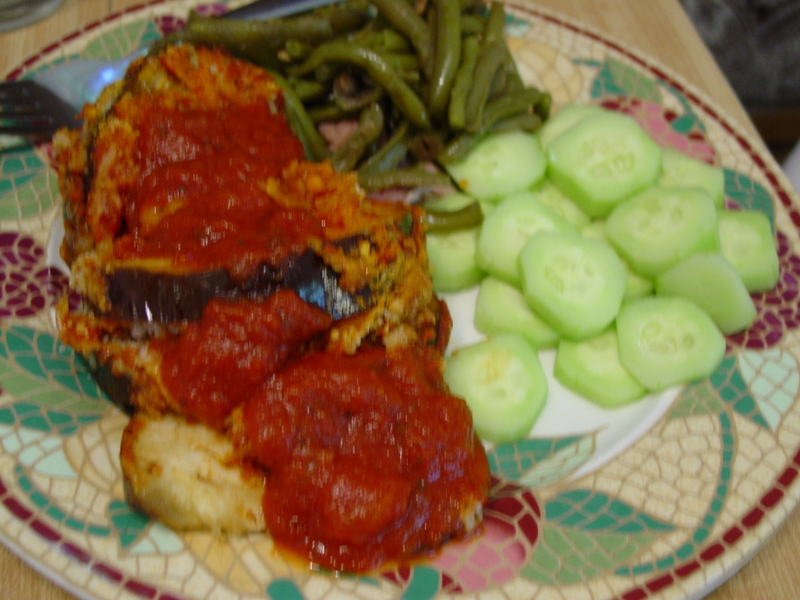 But, it sounded like a cheffed-up version of Eggplant Parmesan. 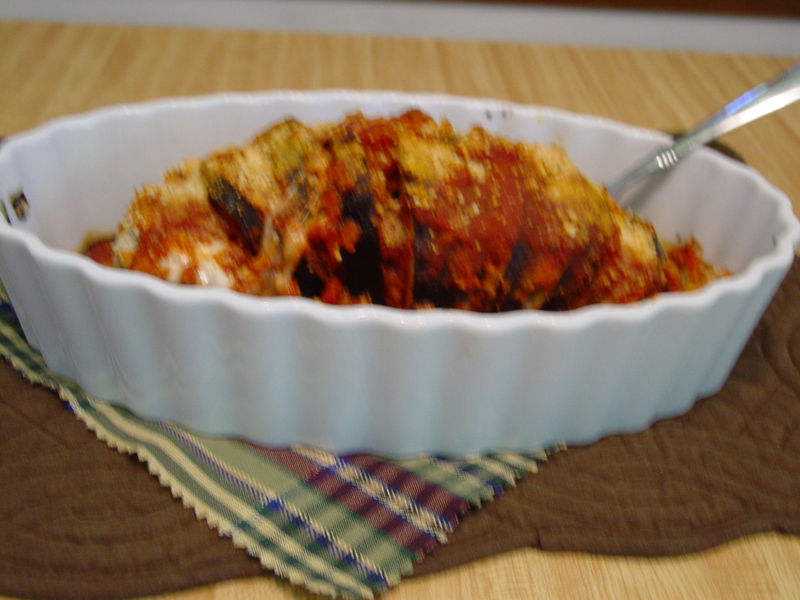 And I do love me some Eggplant Parmesan. But, once again, we get into that aforementioned frying scene, so I decided to put my own lazy spin to this and see how it came out. I didn’t exactly take step by step photos like a tutorial; heck, I usually skip those and scroll straight down to the recipe, anyway, don’t you? But this doesn’t have an exact recipe, either. That’s part of the Lazy. I began with a large eggplant that I washed and trimmed off the ends. Next, I sliced it Hassleback style. (Place it in a salad plate so you don’t slice all the way through, just slit.) 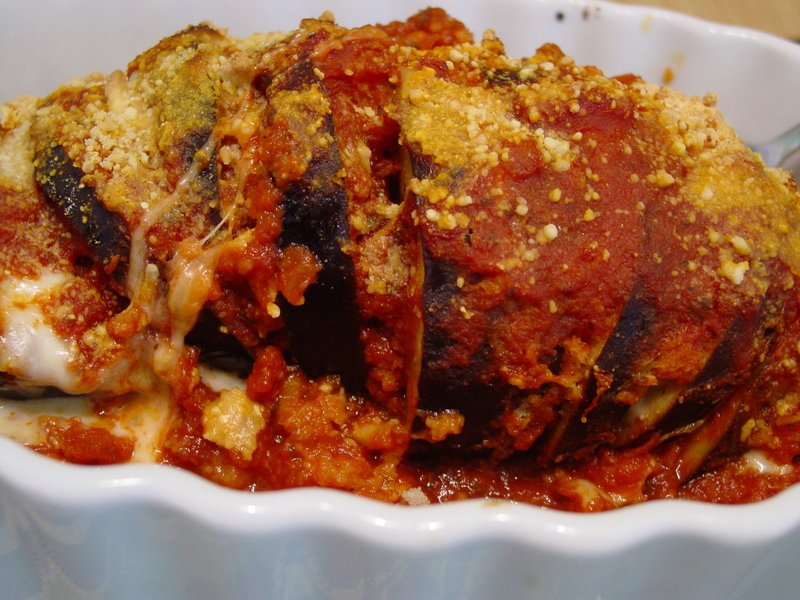 I placed the eggplant in a casserole dish, sprinkled it with Italian Seasoning, garlic salt, salt, and pepper, covered it with foil, and baked it at 350 degrees for 35 to 40 minutes. When I took it out, the eggplant was soft. In all the little pockets between the slices, I poured Ragu Spaghetti Sauce. (I used about half the jar at this stage.) 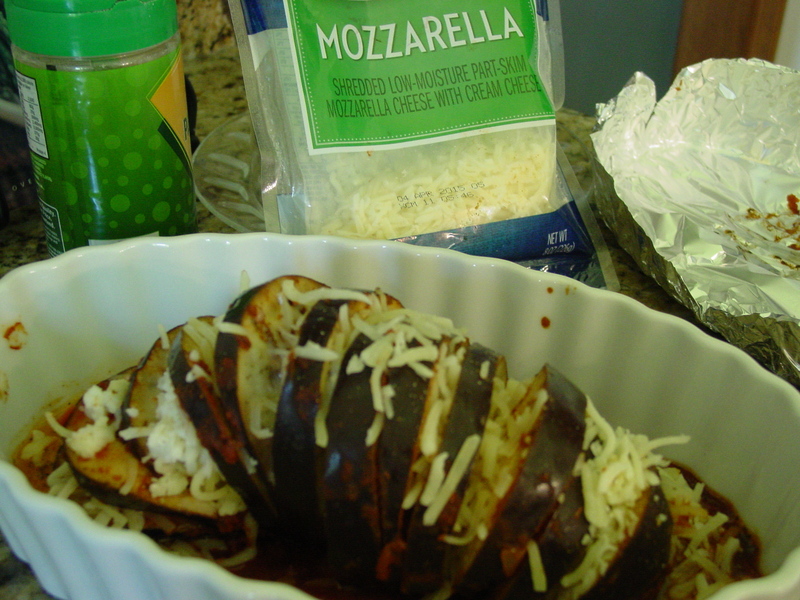 Then I sprinkled in Mozzarella (4 oz.) and about a cup of Panko Bread Crumbs. Here’s the picture I took, and in hindsight, I would have made my slices thinner. I poured the remainder of the jar of sauce over the top, sprinkled more bread crumbs over the whole thing, and dusted it with 1/2 cup of Parmesan. I returned it to the oven, uncovered, and raised the temp to 375. I cooked it about 20 mins. more before taking it out to rest. I served it to Saint with some fresh green beans from our garden and some sliced cucumbers from the neighbor’s. Last year I was posting about what to do with all those cucumbers. Not a problem this year. I think our vines are going to die before we get a single one. What rating would I give this? Maybe 4 stars out of 5. I’d still prefer fried, but this was tasty, easy, and probably a bit healthier. If you like eggplant, I’d give it a go! When your perfectly healthy body begins experiencing serious ailments like sagging skin belly fat …no, I’m talking serious stuff like bone fractures from OSTEOPOROSIS, and you can’t or prefer not to take the risks of side effects from pharmaceuticals, you start looking for ways to strengthen your bones. My research led me past the Vitamin D3 to a lesser known Vitamin K2. Note to self: don’t ever use K2 in a sentence without prefacing it with the word Vitamin. Vitamin K2 is not found in abundance naturally, and the source I found was not so palatable in its primary form. Scraping and eating the white pith of orange peel…not so “a-peel-ing” to most of us. This recipe for Sunshine Muffins calls for an entire orange. You heard me right, the whole thing…orange segments, peel, and Vitamin K2 rich pith. (Try saying that three times fast.) And it’s about the easiest muffin you’ll ever make. And it tastes good! 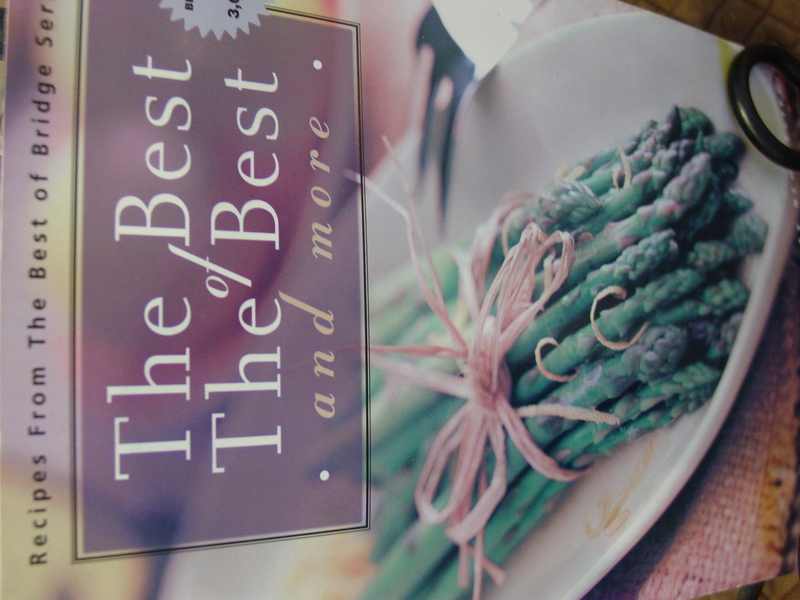 I found it years ago in this Cookbook, which I doubt is still in print. If you find it, buy it, because it’s one of my favorites; I keep it out on my cabinet, it’s that good. Cut the clean orange into eight pieces and remove any seeds, if you like, otherwise, throw the whole thing into the blender or food processor. Add orange juice, egg, and oil and blend until smooth. Add remaining ingredients and blend until just mixed. 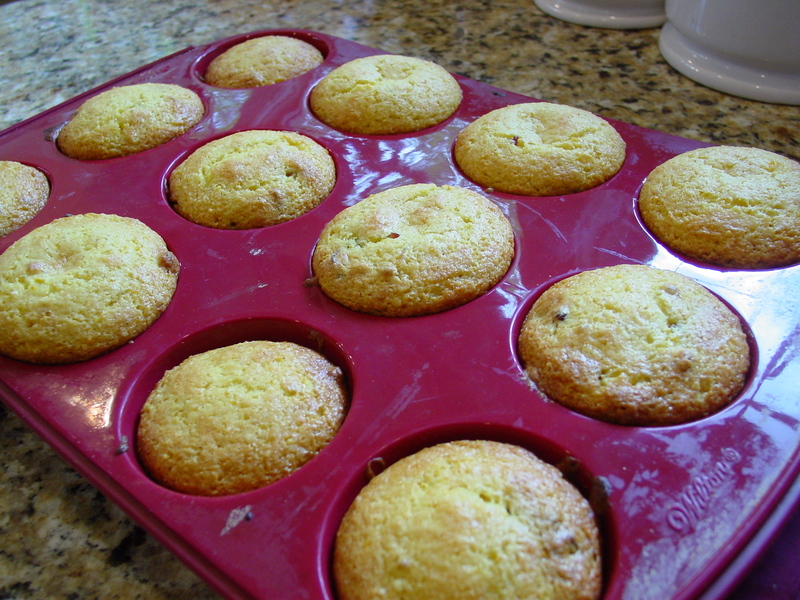 Pour into greased muffin tins and bake at 375 degrees for 15 to 20 minutes. This made 12 average muffins for me. If you want to make them gluten free, just use almond flour and adjust accordingly. Fast, easy, minimal clean up, healthy and delicious! What more could you want in a muffin? And if you say meatloaf, mashed potatoes, or scrambled eggs, I’m not sure we can be friends. If you serve me a muffin, it had better be sweet…just sayin’. What to Do With All Those Cucumbers! Yesterday was National Zucchini Day…or National Hide Your Zucchini in Your Neighbor’s Car Day. I’m not sure of the correct title, but that’s just not my problem this year. Those nasty squash beetles have taken care of that. CUCUMBERS! That’s my problem. They’re everywhere! So, I’m trying to see just what I can do with those wonderfully prolific little fellows. The obvious choice, other than slicing them and eating them with salt or dicing them in a salad, is pickles. But who wants to go to all that mess trouble. 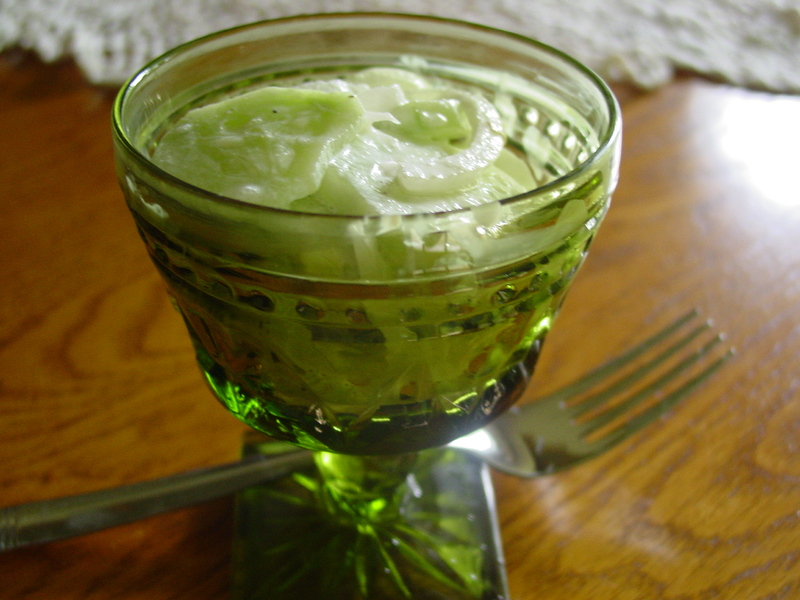 I did find a recipe for refrigerator pickles that was, well, not a piece of cake, but fairly easy. 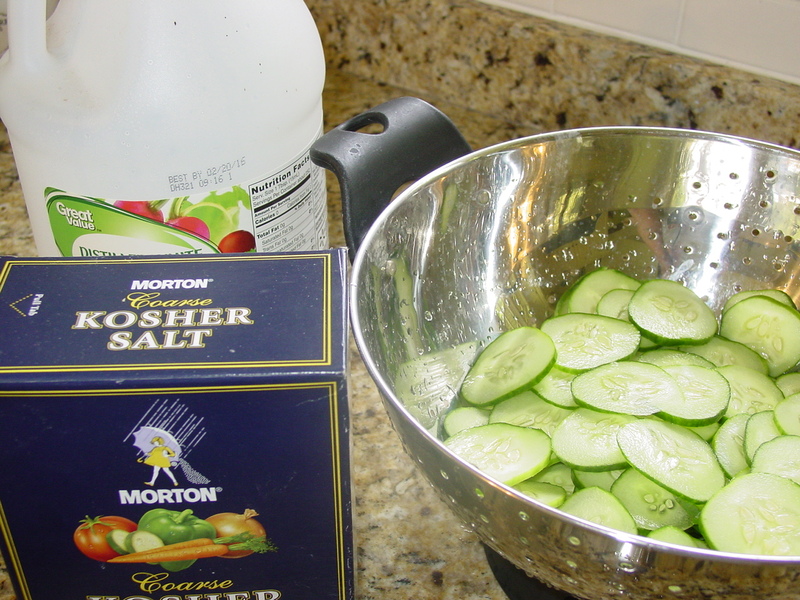 In a medium bowl, combine the cucumbers, onion and salt. Mix well. Cover the mixture with ice. Let stand at room temperature for two hours. In a pot, bring sugar, vinegar and spices to a boil. Drain cucumbers and onions. Add to vinegar mixture and bring almost back to a boil. Remove from heat and pack into two pint-sized jars. 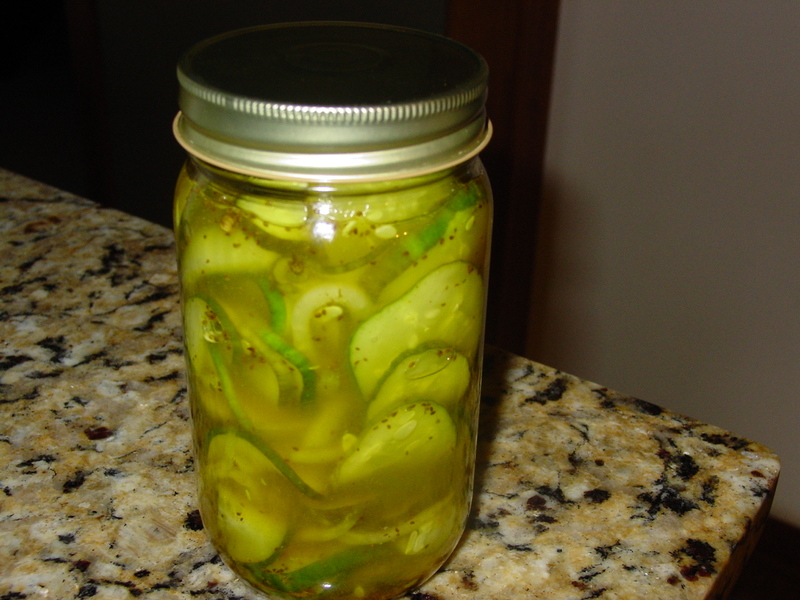 You can store the pickles in an airtight container for up to three weeks in the fridge. They will begin tasting pickled in just a couple hours. I just tasted mine. They are good, but I’d recommend reducing the salt to 1/8 cup and adding sugar to equal 3/4 cup. Just my personal taste. SO, that got rid of a few, but what’s next? I made a cucumber salad. I found the recipe in several places so I don’t have an original source, but mostly used the Taste of Home recipe. It was okay. I would recommend more cucumbers because…well, that’s what you’re trying to get rid of, and because this made a little more “dressing” than I thought it needed. Unless you are taking this to a pot luck dinner, I’d suggest halving the recipe. It is not great left over. The dressing gets runny after sitting overnight in the fridge. It is kind of cute to serve in a little sherbet glass or a tea cup, though. The last recipe I made is one I tried last year, and it is still my favorite. It is also extremely versatile; you can make it as plain or fancy as you like. I got this recipe here: kitchenjoyblog.com. 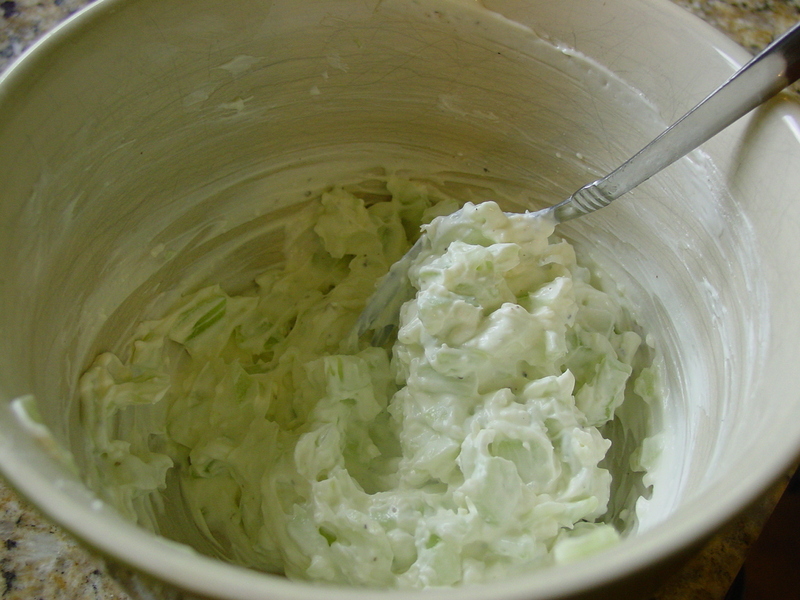 In a medium bowl, mix together the cream cheese and mayonnaise until completely incorporated. Add garlic powder, salt, pepper, chopped dill, and diced cucumber. Spread on 8 slices of sandwich bread. 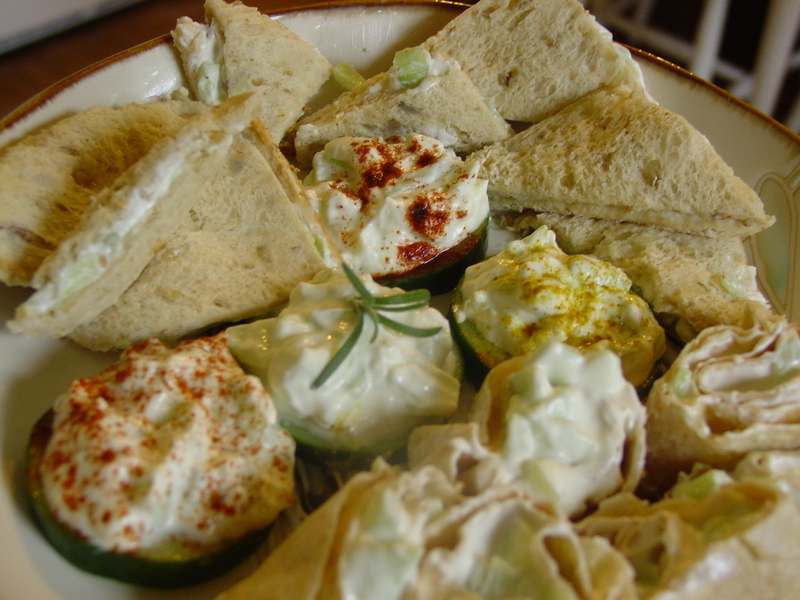 Top with sprigs of dill, then close sandwiches with remaining bread slices. I tried to link you up, but couldn’t. Her pictures are so much prettier than mine. I adapted this in several ways. First of all, I used an extra cucumber and reduced the mayo a bit. 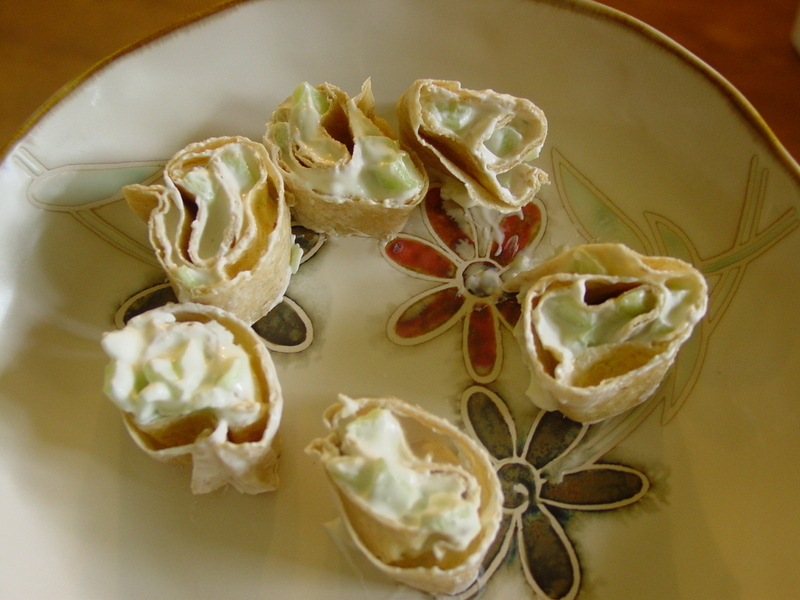 If you are making the roll up that I’m going to show you, I suggest leaving out the mayo completely. It doesn’t hurt the flavor and makes the mixture more spreadable. First, I rolled out my bread slices with a rolling pin, and don’t tell my grown up kids because we tried to convince them the crusts were the best part of the bread, but I removed them for these little sandwiches and rolled that bread out FLAT! 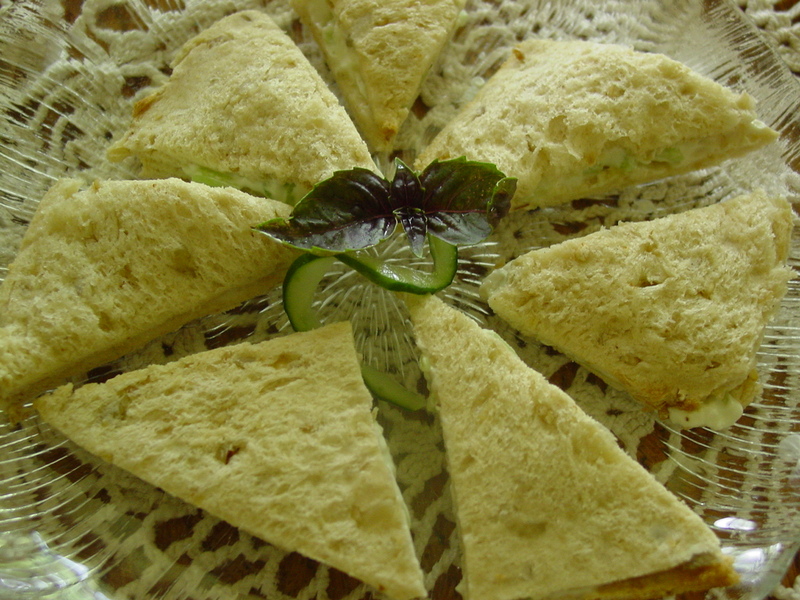 I spread the filling between two slices and cut each sandwich into 4 squares and then halved the squares to make bite-sized tea sandwiches. 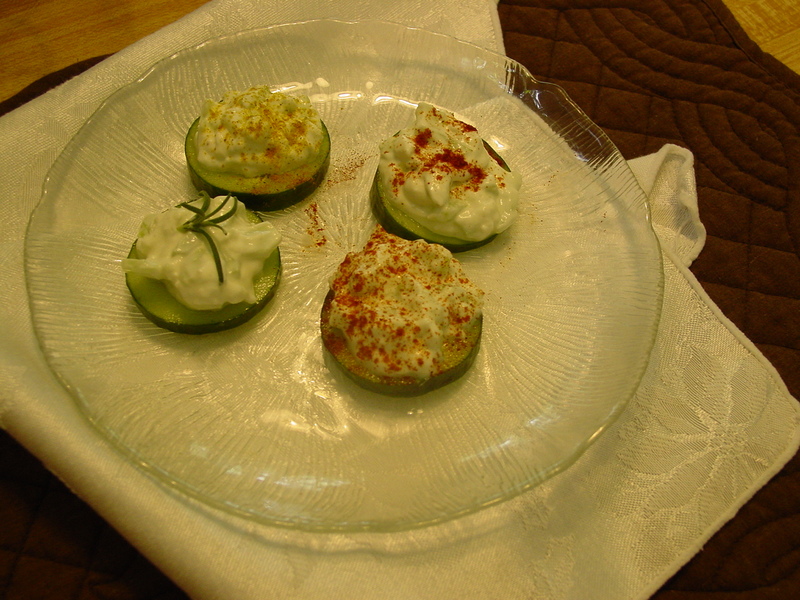 To make a gluten free appetizer, simply slice cucumbers and top with a dollop of the spread. I topped one slice with a sprig of fresh rosemary (I would have used dill, but I forgot to grow it this year) and another with paprika and yet another with curry powder. All were delicious. 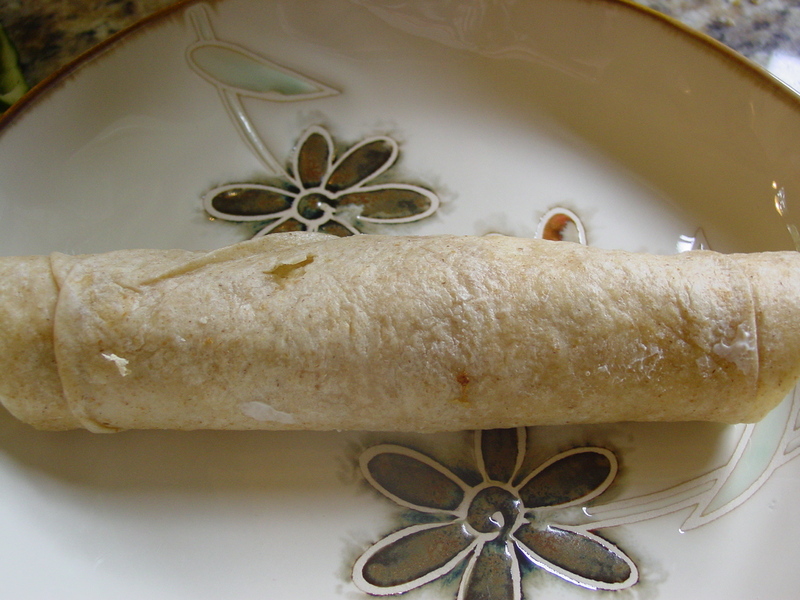 Finally, you can reduce or eliminate the mayo and make a low carb tortilla roll up. In the picture, I used the standard recipe, and you can see that it’s a bit runny for finger food and doesn’t hold together as well as I’d like. I did refrigerate the roll for an hour before cutting, but it was still a little messy. Tasted wonderful, though. I think the best option would be an assortment platter. There you have it! 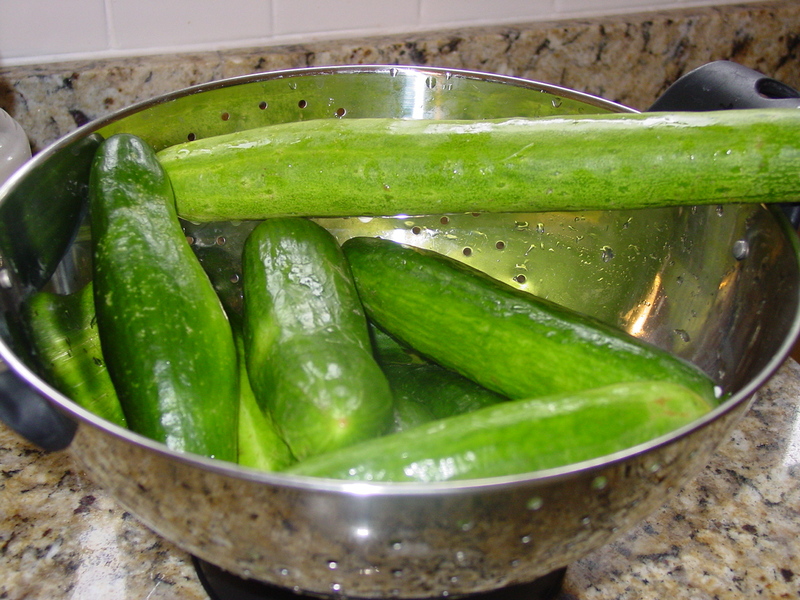 Great ideas for using those cucumbers, but I’m telling you…we still have cucumbers. So, if you live in my neighborhood, be sure you lock your car doors! July… the perfect time for all those F words. Like Fourth. And Fun. Family, Fireworks, Food. And the perfect time for a casual, laid-back celebration, even if you do it on the 7th instead of the Fourth. And on to getting ready for a family get together. We found a great way to simplify the serving line. Punch a hole or two into the side of your paper plates, and tie the napkins and tableware to the plate; it saves time and space in addition to upping the cuteness factor. Speaking of cuteness. 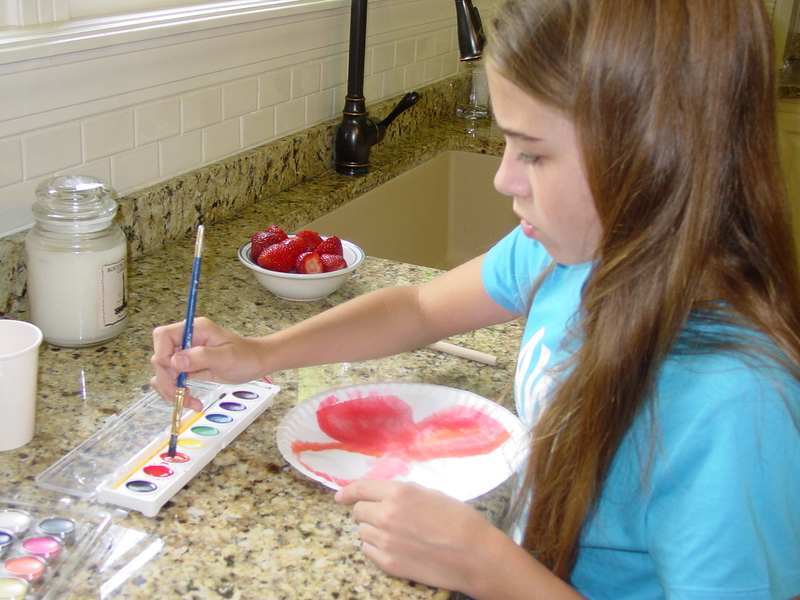 Elle loves drawing and painting, so I thought we’d use some of her talent to decorate and learn at the same time. 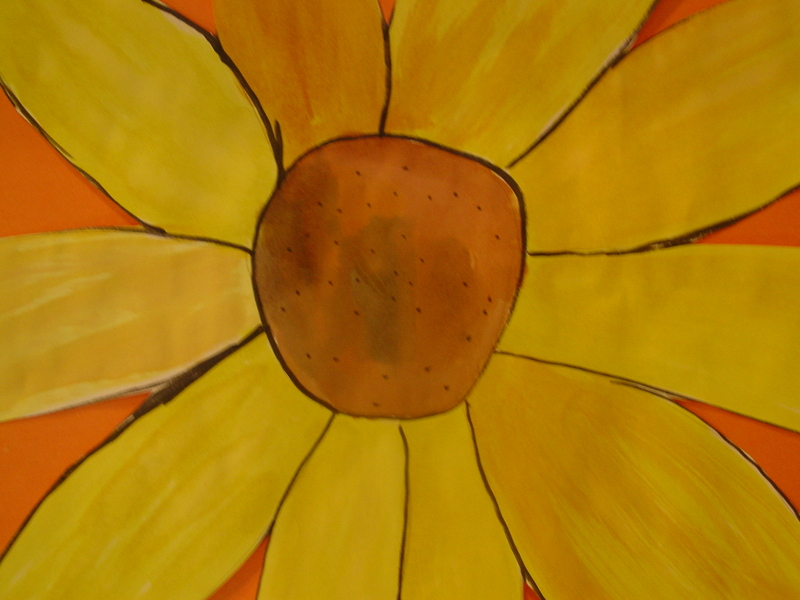 She said she had studied several artists at Espy Elementary, but she was not familiar with Georgia O’Keefe. We looked at her career and some of her work on the internet and decided to try to use some of her techniques for our celebration. I always report on our failures as well as our successes. This was a success in that we learned and experienced, and Elle did beautiful work, but I had read about a technique to use under glass plates. It involved printed vintage-look tissue paper ironed between waxed paper. 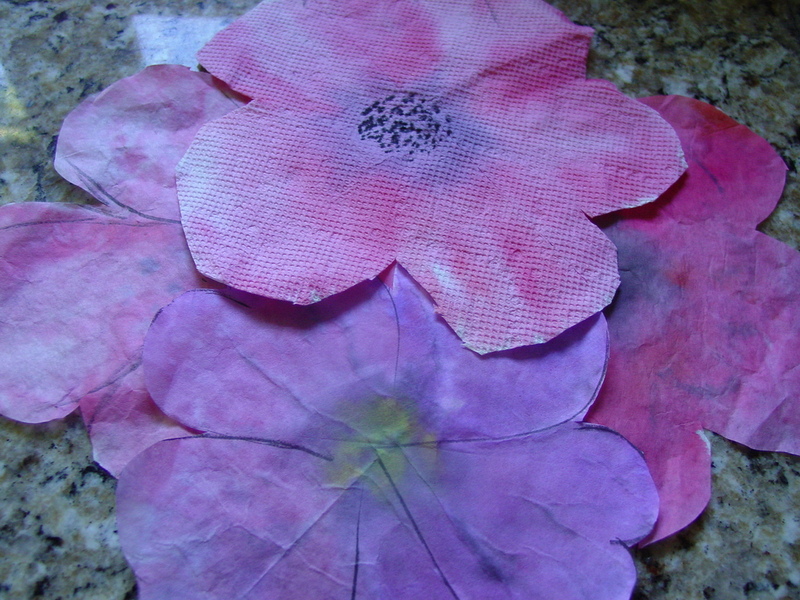 I had done it before using the tissue paper and thought it should transfer to the coffee filters we used to paint our flowers. If it had, it would have been a beautiful thing to put on our serving pieces, but it didn’t. I ironed and pressed, but it didn’t stick. Elle took her art work home, and, well, I didn’t quite know what to do with mine. 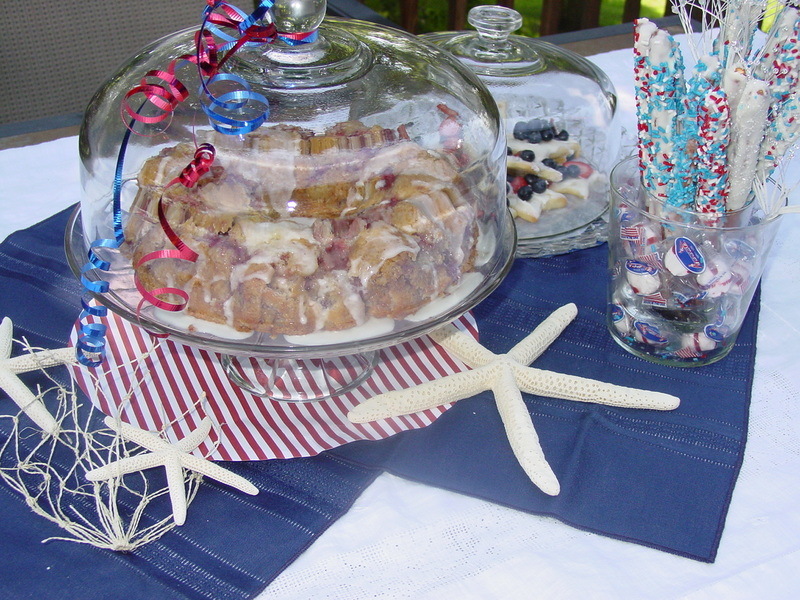 Star shaped fruit pizzas designed by Elle add to the patriotic theme, as do the “sparkler” chocolate dipped pretzels and the fresh strawberry yogurt cake. 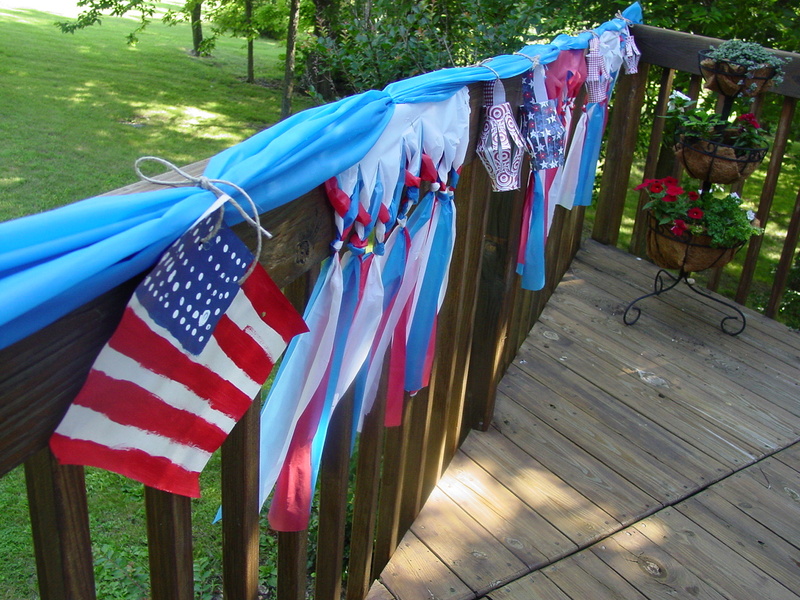 I was able to use the flag she made and some Japanese lanterns in with the red, white, and blue garland for the deck rails. 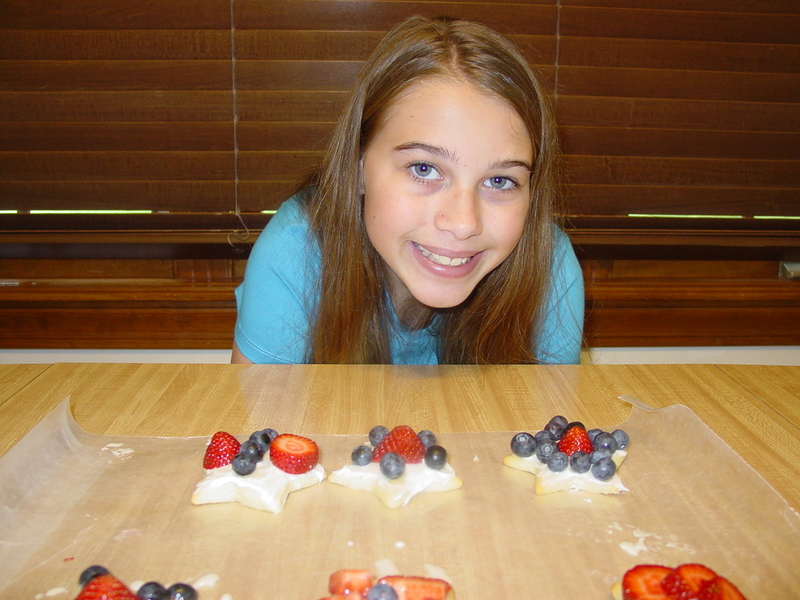 And, I was glad I didn’t have time to involve her in making that garland. 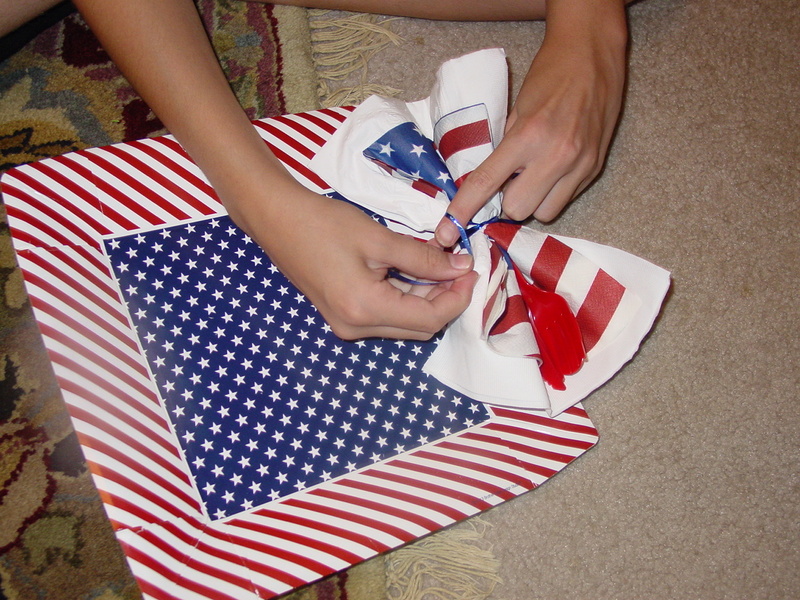 I used three plastic table cloths from the Dollar Tree, cut them in half, placed one on top of the others, and then slit all three layers to within 5 inches of the top. Then I braided the strands and knotted them together. It turned out okay, but was more time consuming than it was worth. It did withstand the wind for several days, though, so I won’t totally cross that off the list. Another thing we did was play work with balloons. 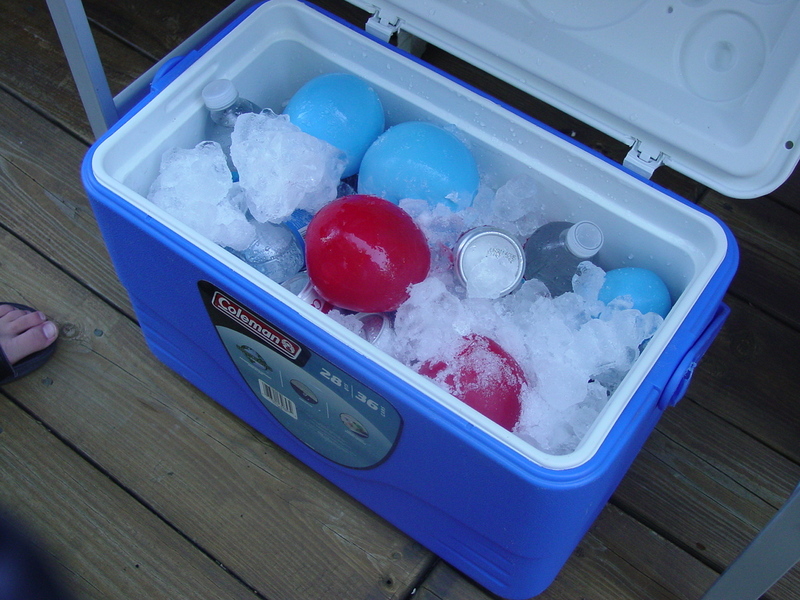 We filled the red, white, and blue ones with water and froze them to use in the cooler…a festive way to keep drinks cool. The activated glow sticks under the ice made it really pretty at night. Those were some tough balloons! 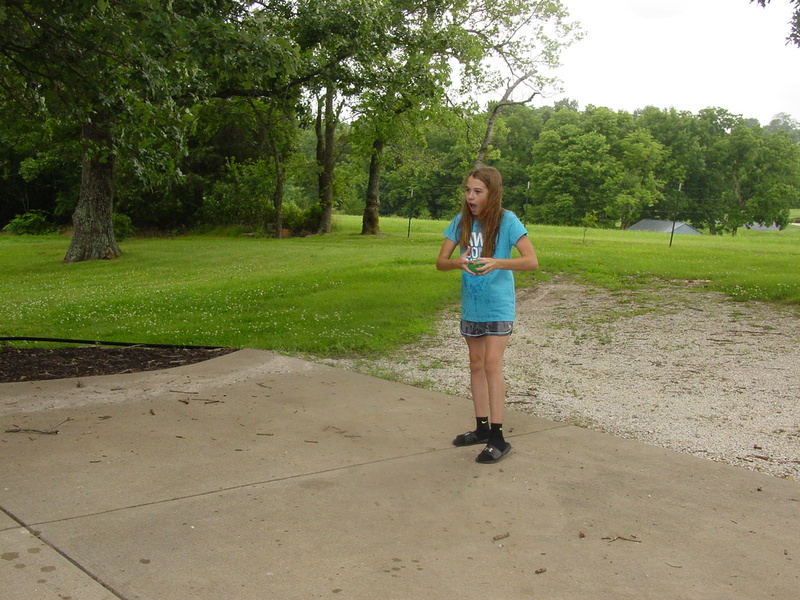 And we planned a water gun game using golf tees and ping pong balls. 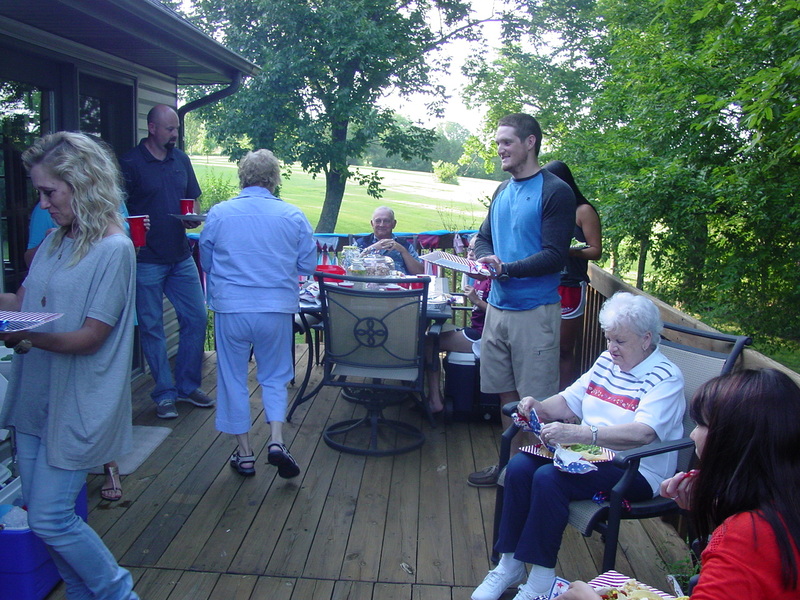 A visit from an aunt and uncle from Washington made this Fourth of July Freedom celebration a special time. We missed having Lance and Carley here, but were so glad to have the rest of the family together. Saint manned the grill and, with Elle’s assistance, shot a few fireworks off without a visit to the ER, so, all in all, I’d say all our F words were good ones. 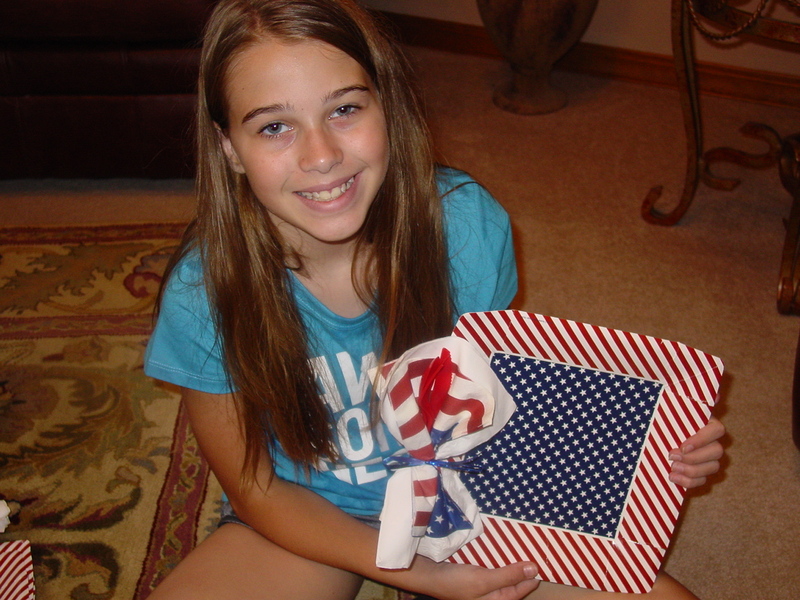 Fun, Family, Food, Fourth, Fireworks! Scones or muffins, what’s your preference? 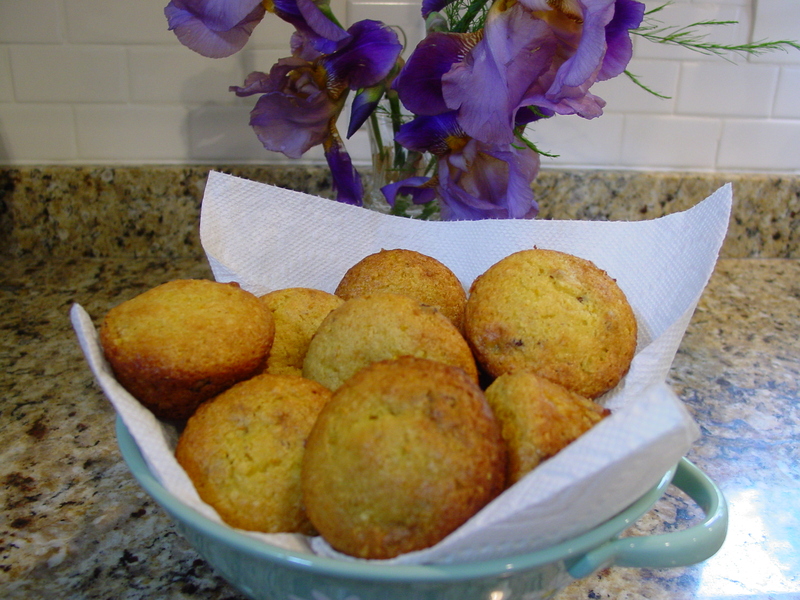 It’s a hard decision for me, but here’s what I think; Muffins are best to bake ahead, freeze, or even to eat the next day, however, right out of the oven, a soft, warm scone just can’t be beat! And, the good news is…I now, officially, have a new favorite scone recipe. 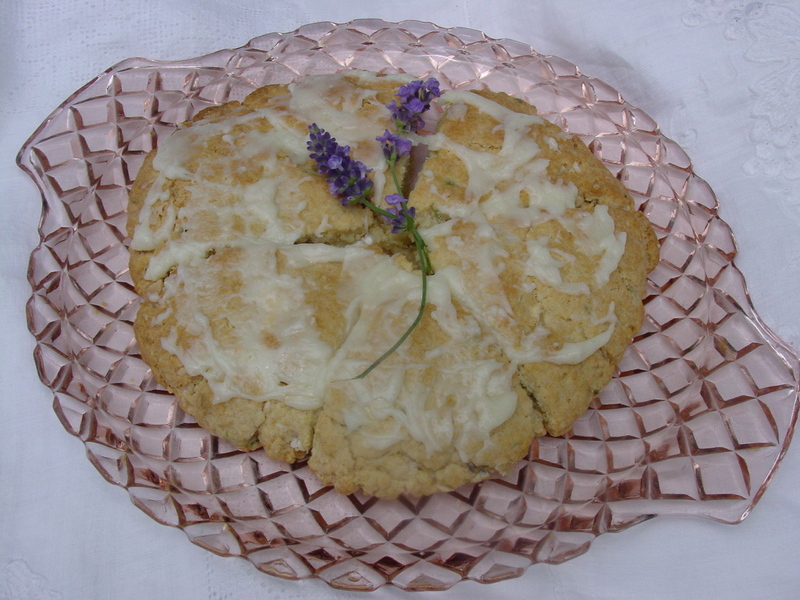 I played with a couple of recipes for other pastries and came up with this melt-in-your-mouth Lavender Cream Scone. 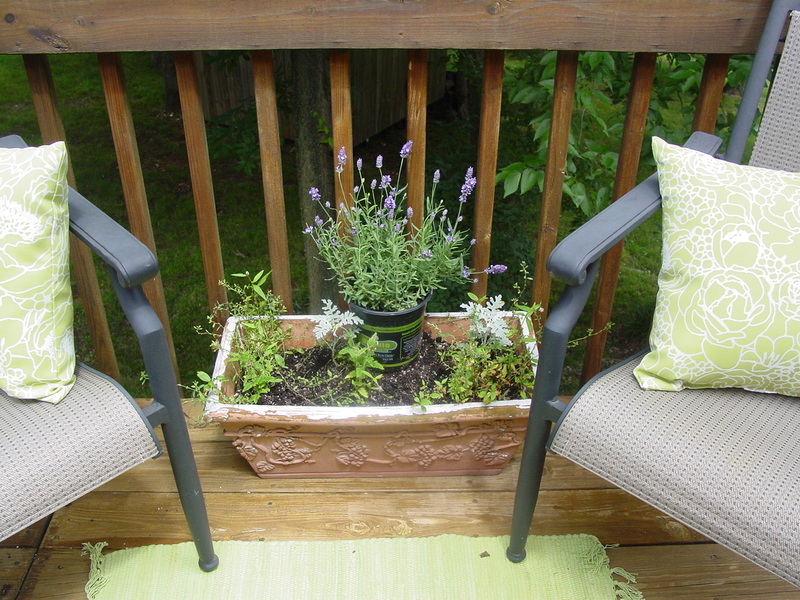 It was almost as easy as snipping lavender from a plant. That’s the first thing I did. I snipped flower buds and a few sprigs of the leaves and chopped them. I used about 2 teaspoons in the recipe that follows. Directions:Place cream and lavender into a small sauce pan and heat until almost boiling (scald). Add vanilla and set aside to cool. Mix first 3 ingredients. Cut butter into small chunks, add to dry mix, and cut in with pastry cutter until butter pieces are pea sized or smaller. Add the cool cream mixture and stir with a fork. 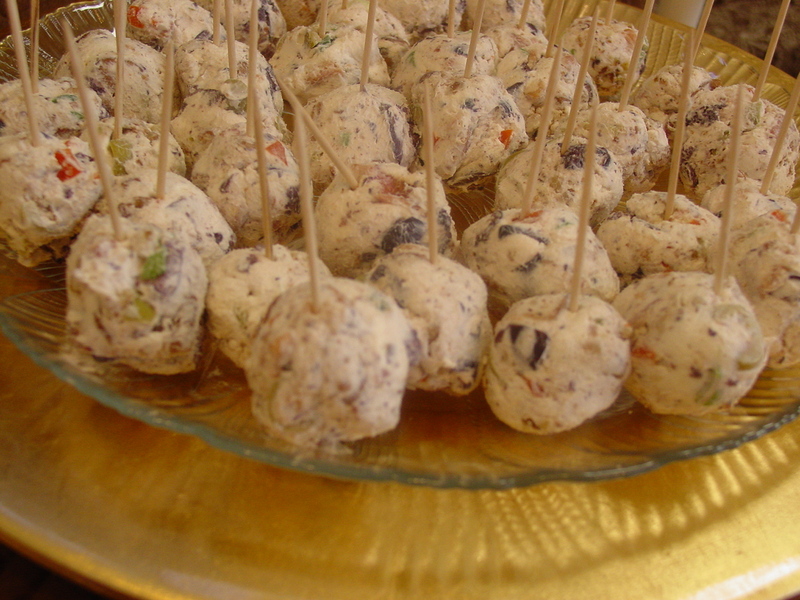 Fold in chocolate bits and divide the dough into two balls. Line a cookie sheet with parchment paper and pat the two balls out onto the paper forming two circles about half an inch thick. Use a knife to partially slice each circle into six triangles. Bake at 425 degrees for about 15 minutes. Let cool completely. Mix 2 squares white chocolate candy coating and 2 Tablespoons cream and melt in microwave. (Twenty second increments, stirring) Drizzle onto cooled scones. If you try these, let me know what you think. They beat out the key lime ones I made earlier as well as gingerbread, cranberry, and strawberry. In fact, they just replaced pumpkin as my favorite scone ever! I wish I could tell you that reducing carbs and Splenda from my diet has resulted in a monumental weight loss. I can’t! In all fairness, I have not followed the prescriptive plan, and when I did that before, years ago, I lost weight substantially. I also wish I didn’t enjoy cooking and eating quite so much. I can’t! I wish I enjoyed exercise more at all. I don’t! What I can say is that I have noticed fewer headaches and a lot less aches and pains in general as I have reduced the carb laden foods and Aspertame sweeteners. I made them using these few ingredients plus a combination of sweeteners that I didn’t picture. I softened 1/2 cup of Coconut Oil in the microwave. I didn’t want it totally liquid, just stirable. 1/4 cup of Coconut Sweetener plus a packet of hardwood Xylatol. I liked this combo for sweetening. A scant pinch of kosher salt. I found it easy to mix all this if I rested the bowl in a pan of warm water. You can taste and adjust the sweetness/saltiness at this point. 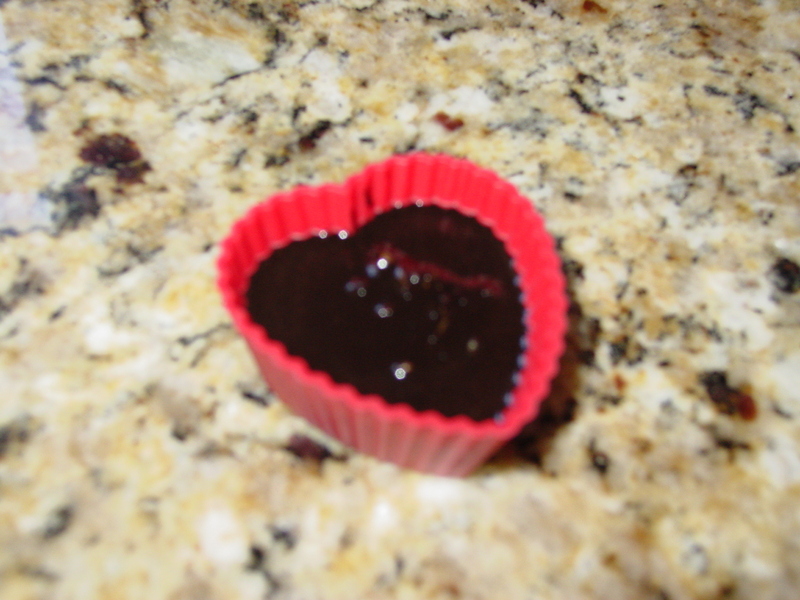 Next, I spooned a bit into these heart shaped molds I got to make fudge for our grand daughter, Carley, at Valentine’s day because she specifically requested fudge at Christmas and didn’t get it. She also hasn’t gotten it for Valentine’s Day…yet. I just covered the bottom, and then I added a dab of peanut butter. And finally, I spooned more chocolate over the top. And I sprinkled a few bits of sea salt on top. These went into the frige for solidifying. 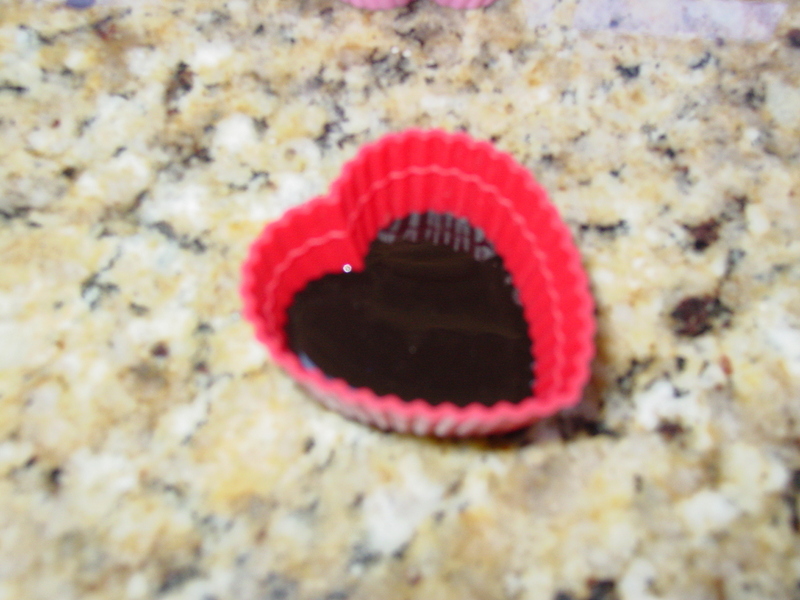 And they popped right out of the mold into cute, little heart-shaped candies. 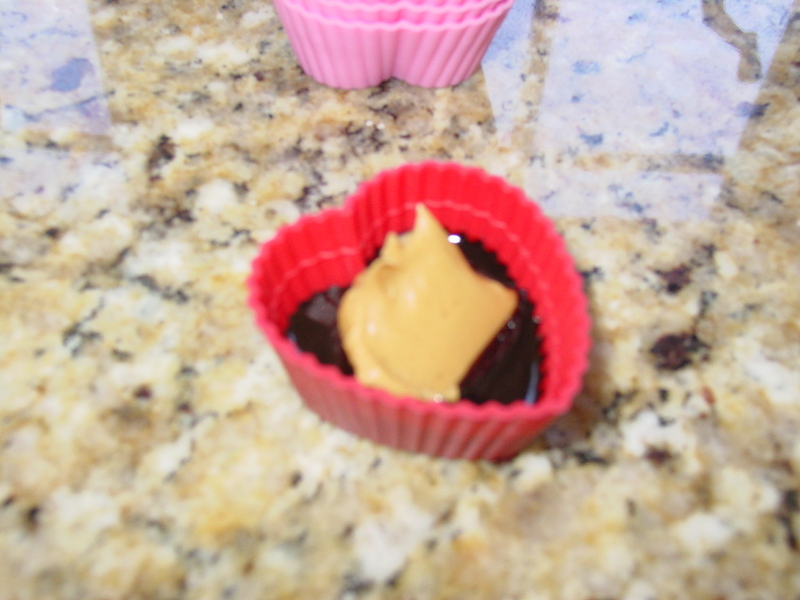 This recipe made 12 good sized candies with a little leftover chocolate mix, to which I added a bit of peanut butter and swirled. And ate. As soon as it hardened immediately. From my lack of patience I learned an important lesson. This stuff is delicious! 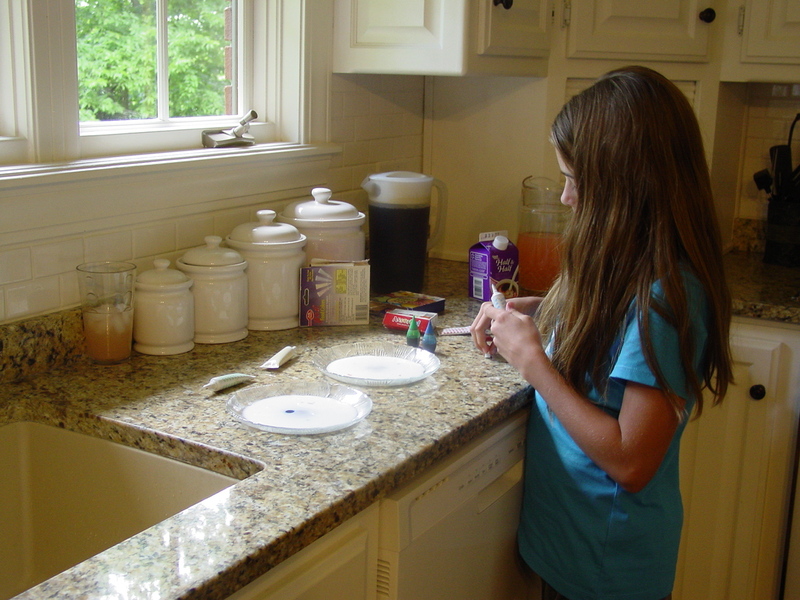 And you don’t have to waste spend time making pretty little cups. 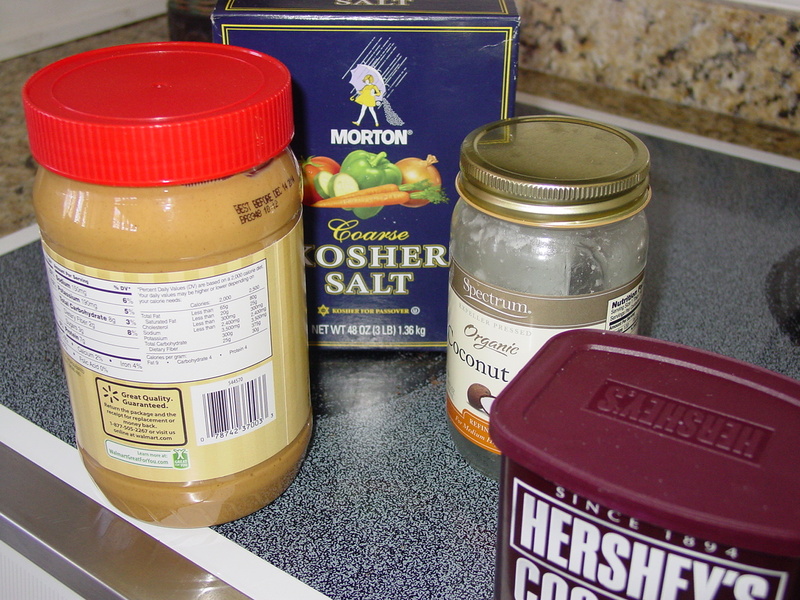 You could just mix up the chocolate, add some peanut butter, mix, and pour into a buttered bowl to harden. Yay!! It’s not too late! This takes only a few minutes prep time and a bit of “resting” time. Yes, you really could mix this up before your New Year’s Eve celebration TONIGHT! 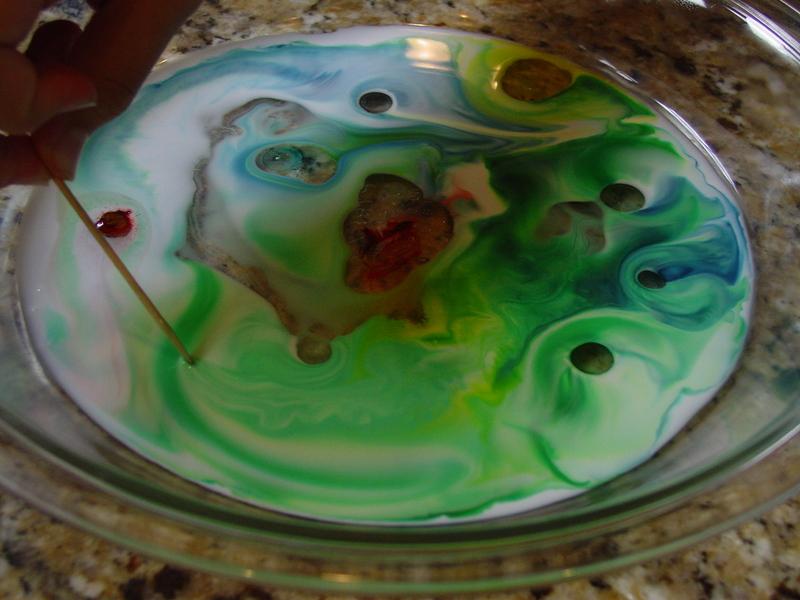 Mix all ingredients in large mixing bowl. I use a fork and my fingers rather than a mixer. Shape into a large ball and refrigerate. This can be made a day or two in advance. 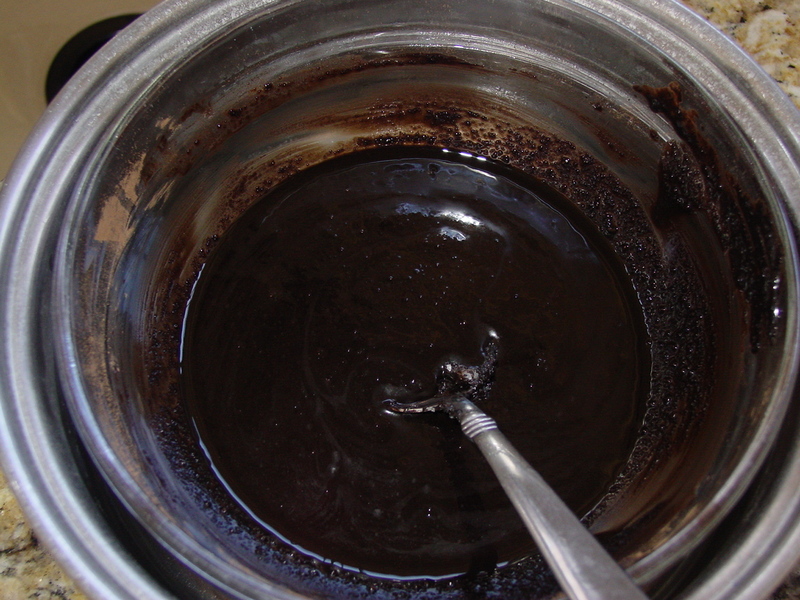 When ready to serve, scoop out a teaspoon sized heap and roll it into a ball. Continue until all mixture has been used. Insert a toothpick into each one for easy handling. I have great memories of New Year’s Eve celebrations when our kids were growing up. We would have several families with kids over to eat and play games. Now, we traditionally get together with our best friends for a quiet evening of cards, snacks, and welcoming in a New Year. 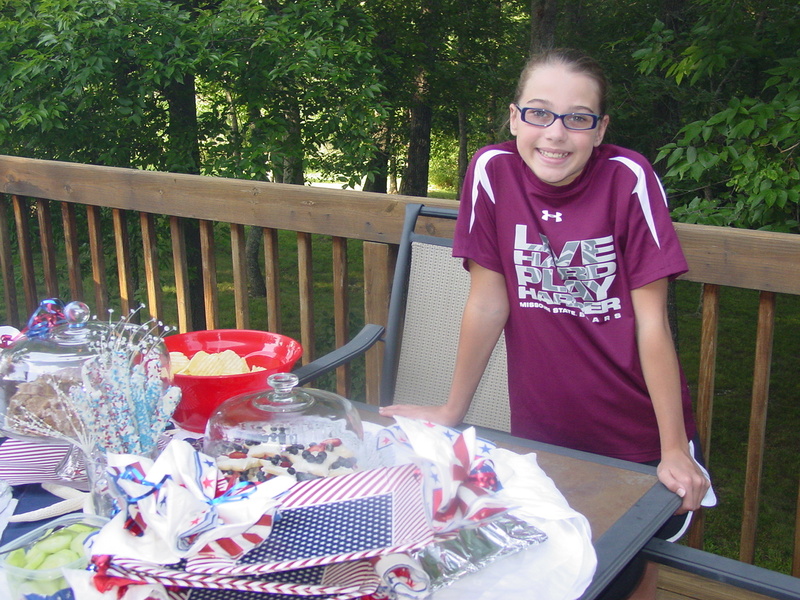 This year we are going to their house, and the food…well, I can guarantee there will be enough for a crowd. I’m promised there will be several low carb options, so no excuses for me! I hope you and your family have a fun celebration planned, and that you have a very blessed 2014!